Renton RFA maintains three Special Operations teams, including Rope Rescue, Water Rescue, and Hazardous Materials. 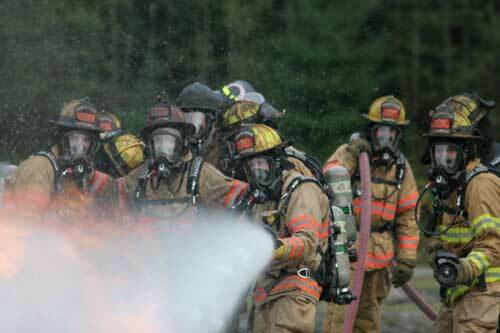 Each team is staffed with technicians trained to the specific discipline and is part of the Zone 3 regional response. Because of the resource commitment to Zone 3, the we have a minimum staffing of two technicians on duty for each discipline. Currently, we don’t provide technicians in the area of confined space and trench rescue. These resources are available to our community through the Zone 3 regional response. Partnering with other organizations on the Zone 3 Regional Response is just one of many ways we maximize resources while keeping taxpayer’s costs down. 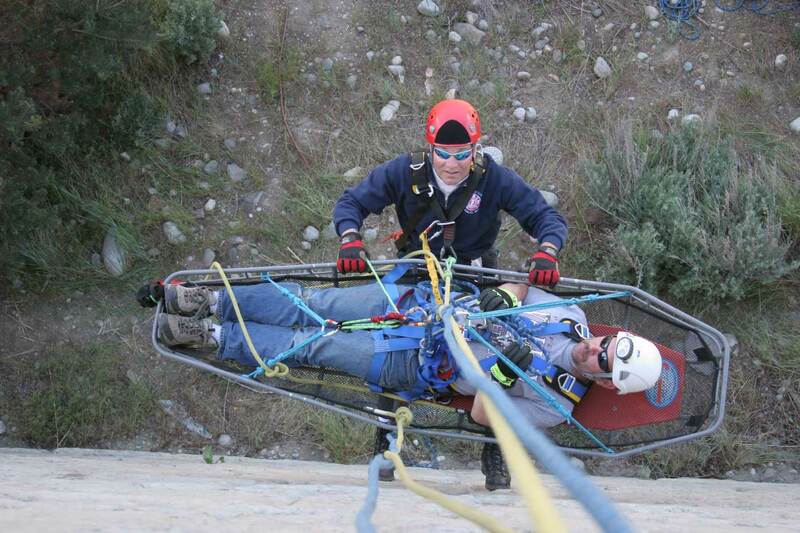 We provide rope rescue resources for low angle, medium angle, high angle, and vertical angle rescues. Our team consists of 18 members trained to the technician level (WAC 296-305-05113, NFPA 1670), and they are primarily assigned to Ladder 11, which is housed at Fire Station 11. 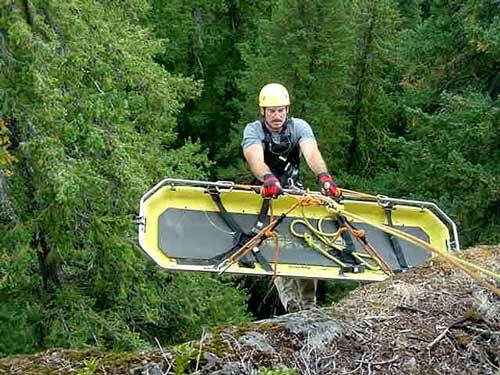 Most of our Water Rescue Technicians are also Rope Rescue Technicians who can be utilized on any call. The Renton RFA Rope Rescue Team responds to all calls requiring Rope/Rescue Technicians within our jurisdiction, as well as all of Zone 3. Renton RFA provides water rescue, including underwater, surface water, and swift water rescue within our jurisdiction and Zone 3. The Water Rescue Team consists of 15 members trained as technicians who are assigned to Fire Station 12. We mandate a staffing stipulation requiring a minimum of two water rescue technicians on duty each day. Renton RFA is the only department in South King County to require this for our Water Technicians. The Water Rescue Team operates a Water Rescue Apparatus, along with a boat that is trailered behind the apparatus. Eleven of our fifteen divers currently possess the “Working Diver” credentials from the National Oceanic and Atmospheric Administration (NOAA). We operate in rescue mode at waterborne incidents for the first 60 minutes of the incident or until determined by the rescue group supervisor on scene. 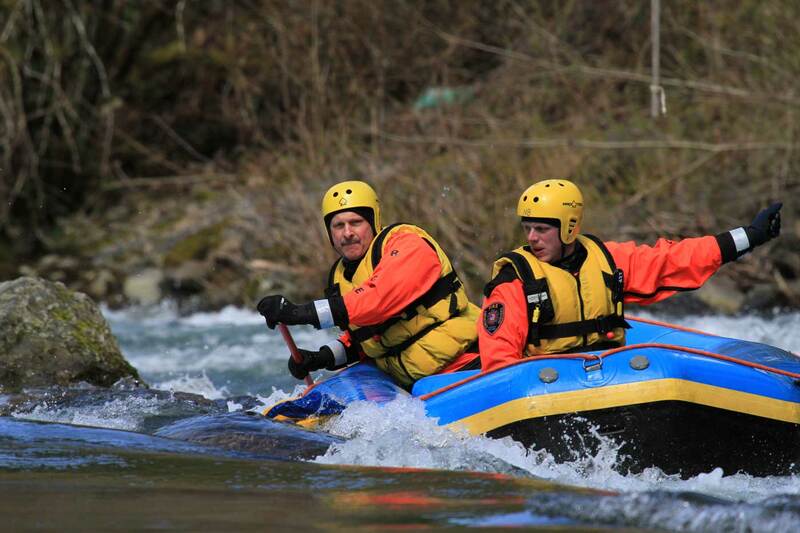 Within King County, the Sheriff’s office has jurisdictional authority over water rescue, Renton RFA works in conjunction and helps supplement their resources during recovery modes. 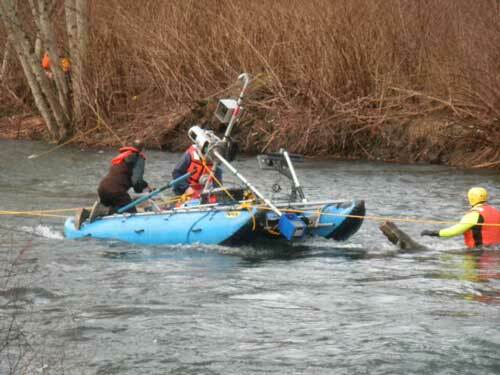 In addition to our 15 Water Rescue Technicians, Renton RFA has eleven certified Rescue Swimmers. Rescue Swimmers are assigned strategically throughout the response area to provide a rapid rescue for drowning victims in static water. Their immediate responsibility is to rapidly enter the water and attempt contact with the patient, if the patient is submerged the rescue swimmer will attempt to locate them by free diving using a mask, snorkel and fins. 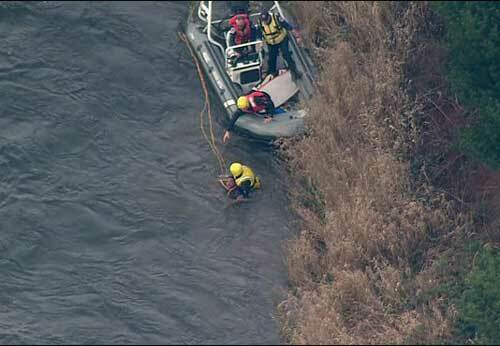 Their second priority is to provide a strong last seen point for the Water Rescue Technicians upon their arrival. 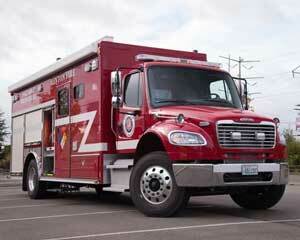 We also provide Hazardous Materials response within our jurisdiction and throughout Zone 3. Eighteen (18) members are trained to the Hazardous Materials Technician level, including a certification for Crude Oil by Rail Emergency Response, and are assigned to Fire Station 14. 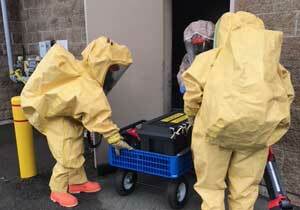 The remaining first responders are certified to the operations level in Hazardous Materials response. Along with a hazardous materials response apparatus, known as Hazmat 14, Fire Station 14 provides a foam trailer known as Foam 14 that can provide 265 gallons of AR-AFFF foam and 330 gallons of AFFF foam to large flammable liquid-type fires, including Ethanol and Ethanol blended fuel. A decon unit known as Decon 17 is located at Fire Station 17. This unit is equipped to provide mass decontamination of people if needed. The firefighters assigned to Fire Station 17 provide the personnel for this resource, along with one technician.